The account section of the app gives you access to everything available via your web account; you can charge your address and contact information, connect your POLAR RFID card and Homecharge unit, as well as your OVO EV Everywhere account. You can also update your password and check your POLAR points total. The app’s live map shows all charge points available on the POLAR network, including rapid chargers. See more of our charge points by clicking on the pin; from there you can see the post ID, the last charge on the unit as well as socket types available and the distance from your current location. You can also see images of the units. The app cannot be used to access charge points, and you will still need to use your POLAR RFID card to start a charge. A Direct Me function is now included on each app live map pin, which links directly to Google or Apple maps. Just click on the pin you want to go to, select the Direct Me button and your chosen map application will direct you. In the same way as the POLAR website, members can now bid for an EV Experience vehicle directly through the app. Just go to the EV 7-day Experience section and click the directional arrows on the sides to scroll through the available cars, then just select bid. You can also see your POLAR points by going to the menu and selecting the Points page. 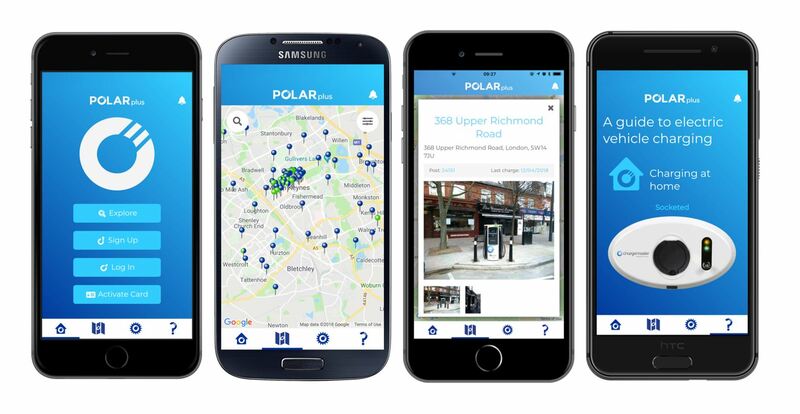 Check out all your POLAR plus rewards directly through the app by visiting the Rewards page. You can access any QR codes and information needed to redeem your exclusive rewards. next post: Chargemaster celebrates its 10th birthday!